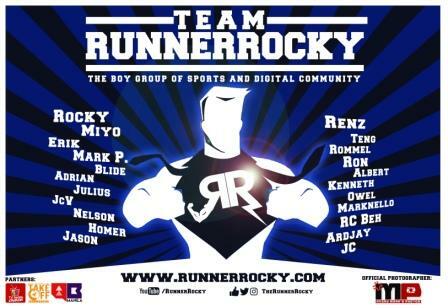 Team Runner Rocky, the boygroup of sports and digital community is up again for another exciting event! This is the first ever fitness and wellness conference in the country, the FitCon MNL 2017. Last week May 3, 2017, three of the boygroup's members namely Erik Valenzuela, JcV Villanueva, and Rocky Chua experienced the different courses offered by the program in the actual session and media launch held at the Kerry's Sports, Shangri-la Hotel, BGC The Fort. We had participated in the bodyART and Zumba sessions. We even talked about the whole program with the organizers. And we had interviewed the sports and fitness icon Ms. Dyan Castillejo about her own fitness regimens. 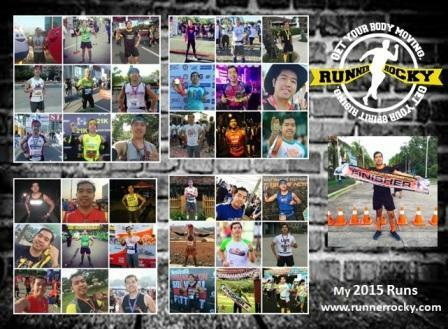 You may want to read back our story, kindly click here: Team Runner Rocky on the FitCon MNL Launch. Get into the groove of healthy living with the Philippines’ first and biggest fitness industry event – FitCon MNL. Open to all fitness professionals and active individuals, FitCon MNL - to be held at Ascott Hotel, Bonifacio Global City, on May 19-21, 2017- brings together 15 international and local fitness leaders for a jam-packed three days of intensive training and education. 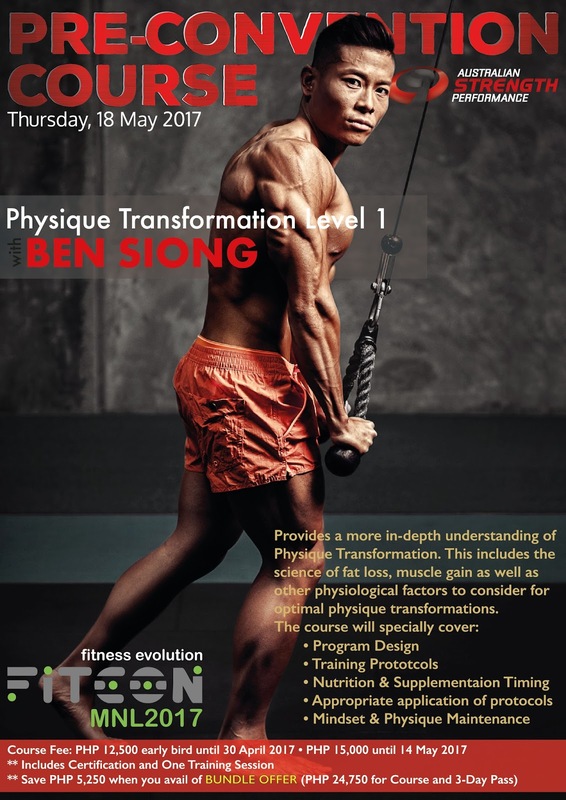 Learn, explore and discover the newest trends and techniques in fitness with the help of fitness and movement leaders and experts. In addition to highly specialized trainings, workshops and lectures addressing diet and nutrition will also be open to participants. Kicking off the three day extravaganza is Senior’s Day on May 19. 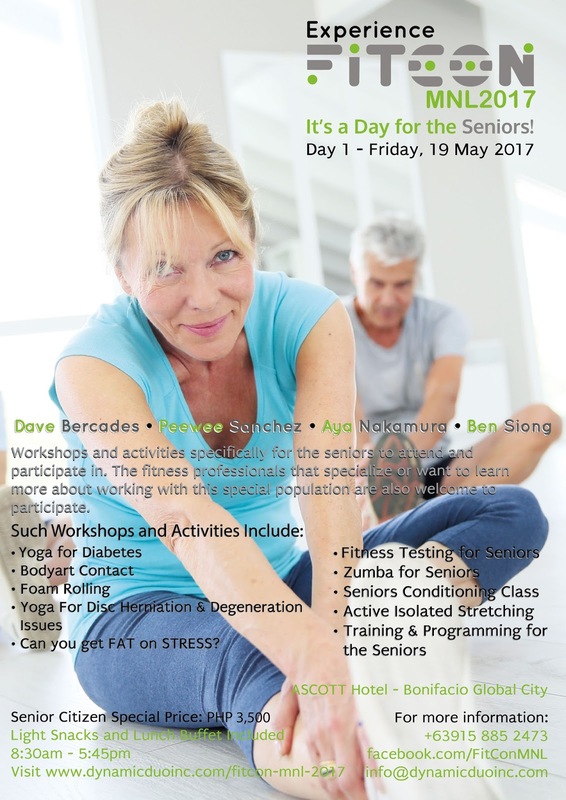 Dave Bercades (Biomechanics Professor, College of Human Kinetics, UP Diliman), Peewee Sanchez (Executive Director of Yogafirst), Aya Nakamura (the international training course lecturer for bodyART), and Ben Siong head the team of fitness professionals who will share their workout wisdom for the older population. The day’s workshops and activities include Yoga for Diabetes, bodyART Contact, TriggerPoint Foam Rolling, Yoga for Disc Herniation and Degeneration Issues, Fitness Testing and Zumba for Seniors. These programs address the unique concerns of active seniors when it comes to their changing physical conditions. Learn the movements to safely strengthen major muscles, prevent bone loss, improve posture, and increase functionality with minimal equipment. This is also highly recommended for professionals who work closely with active older individuals as these exercises are proven to reduce aches and pains, increase range of motion, reduce dependence and increase confidence. Wellness is more than being physically fit. To achieve true health and wellness, all aspects of well-being should be in sync - mind, body and spirit. On the evening of May 20, Peewee Sanchez and Aya Nakamura will lead the quest to discover how you can better bring all of these together to become a stronger person more in tune to your body. Not your usual yoga, bodyART with Aya Nakamura is a fusion of dance, yoga, and therapeutic moves. Hatha Flow Yoga with Peewee Sanchez, on the other hand, combines breathing and traditional poses with dynamic movements. Slow down, find your center, and take a step towards achieving that balance within yourself. Doors open at 6:30PM..
From the slow pace of the previous day, FitCon changes the beat with an adrenaline pumping Zumba Dance Party on May 21. Dance, sweat and burn the night away with your friends as Zumba education specialist Prince Paltu-Ob and ZIN Jammer Majid Lahmadqui heat up dance floor with their high energy and amazing choreography. Reconnect with your body, and allow the rhythms and energy flow through every muscle. The Zumba Dance Party starts at 7PM, gates open at 6:30PM. In addition to the aforementioned events FitCon MNL features numerous training sessions, workshops and activities to be led by specialists such as ultra-endurance athlete Dan Duran (Director of Education & Global Business Development of PTA Global), Tony Howett (Industry Specialist and COO of Mefitpro), and Mark Laws (Director of Education, Clarity). Divine Masinsin (Master Trainer for TriggerPoint Therapy, BOSU, Hedstrom ad PTA Global), Audrey Fourcade (Industry Specialist and Nike Trainer for the NTC program), CHEFitness Liza Fielder (chef and Miss Bikini 2016), Lora Madrigal Gregorio (ZIN) as well as Rica Rodriguez (Master Trainer for PTA Global, TriggerPoint Therapy, Bosu and Hedstrom) join the esteemed panel of convention speakers. There are various tracks available, depending on your interest. Triathletes, swimmers, runners, bikers, and other endurance athletes will benefit from the Peak Performance track, which covers techniques for faster recovery, optimizing sports performance, proper nutrition, and mobility. A track for dancers includes stretching and flexibility workshops, as well as choreography and dance. Yoga enthusiasts can level up with the bodyART track or with yoga for specific challenges. Crossfit, HIIT, boxing, and martial arts enthusiasts will benefit from the Power Track. There are also specific workshops for weight loss, nutrition, and body transformation. Fitness entrepreneurs will also gain wisdom from the service and business development tracks. Coaches, trainers, and those in fitness sales will also learn from the workshops on developing client relationships, modifying movement and behavior, among others. 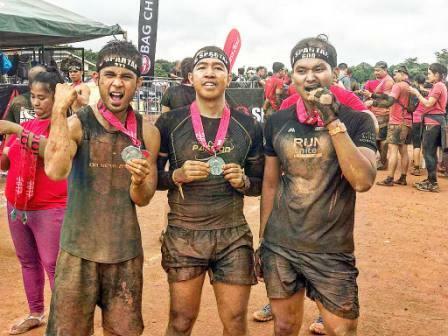 FitCon MNL is the brainchild of Rica Rodriguez and Divine Masinsin of Dynamic Duo Inc. They both are passionate about bringing fitness and fitness professionals in the Philippines to par with international standards. FitCon MNL is the kick-off event for their plans to bring continuing fitness education to the Philippines. Their purpose is summarized in FitCOn MNL’s battlecry: “Update. Upgrade. Upsell. You are your best product!” The workshops presented at FitCon MNL and at the succeeding training workshops are meant to update fitness professionals’ knowledge and upgrade their skills, so that they may be able to serve their clients better. 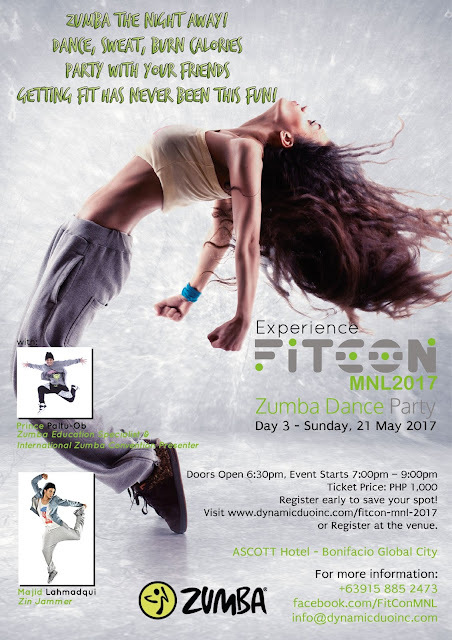 For the complete schedule of activities and to register for your passes to FitCon, visit https://www.dynamicduoinc.com/fitcon-mnl-2017 or https://www.facebook.com/FitConMNL/ or call 0915.885.2473. FitCon MNL is organized by Dynamic Duo Inc., and is presented by Timing Partners Soleus and Misfit; Hydration Partners Light Water and Vitamin Boost; Sportfit Inc., Dome Piece Audio, DyanFit, CHEFitness, and Matrix. 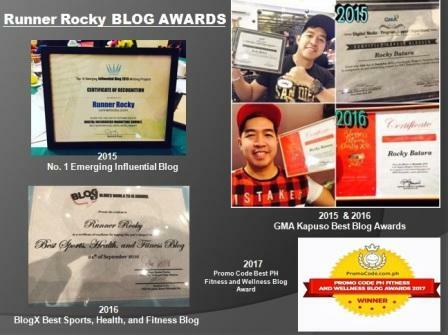 Dynamic Duo, owned and operated by R2DM Fitness Professionals Consultancy, addresses the need for internationally-recognized continuing education for fitness professionals in the Philippines. The company’s goal is to provide quality education and training for fitness professionals, and those aspiring to join the industry. It aims to elevate professionalism, service and training in the local fitness industry, bringing it to par with international standards. Dynamic Duo was founded by Rica Rodriguez and Divine Masinsin, who have established their names in the industry over the past 16 years. They are known for their ability to consistently bring high quality services through the work they do in group classes, personal training, fitness events, gym and trainer/staff management, fitness class setup, and fitness education. They also have been successful in developing instructors, allowing them to be better coaches and team players. Rica and Divine have successfully mounted large-scale events in the United Arab Emirates, including group class launches held at the parks; interactive booths and exhibits; as well as corporate team building activities for companies like Pepsi-Cola. To make fitness education available, affordable, and within the reach of Filipinos and the neighboring countries.